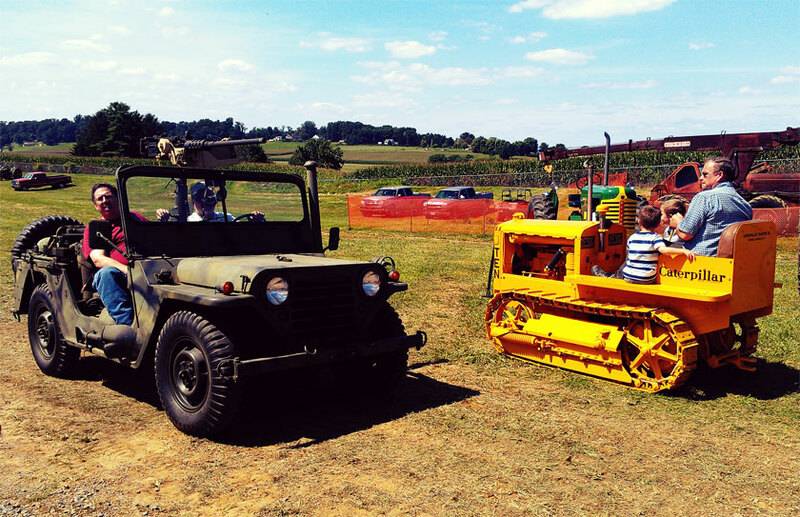 Every summer I try to make it to the Rough and Tumble Engineers Historical Association in Lancaster, PA for their annual Threshermen’s Reunion. 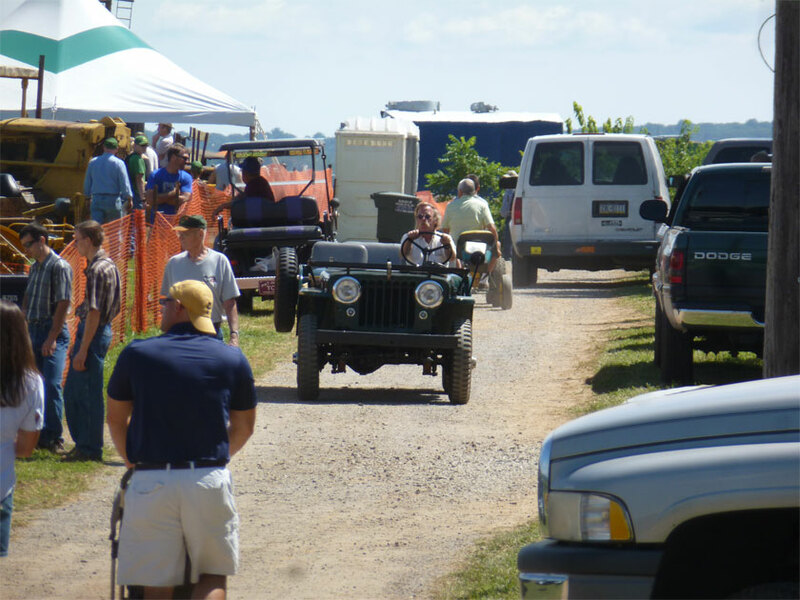 This is a gathering of steam traction engines (giant tractors!! 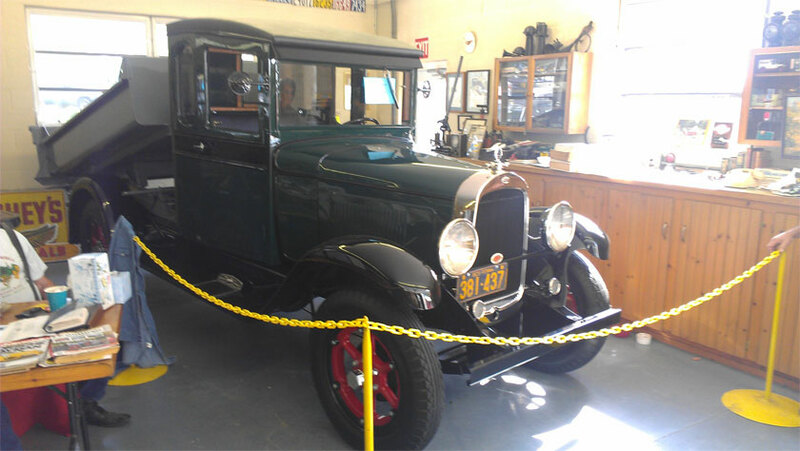 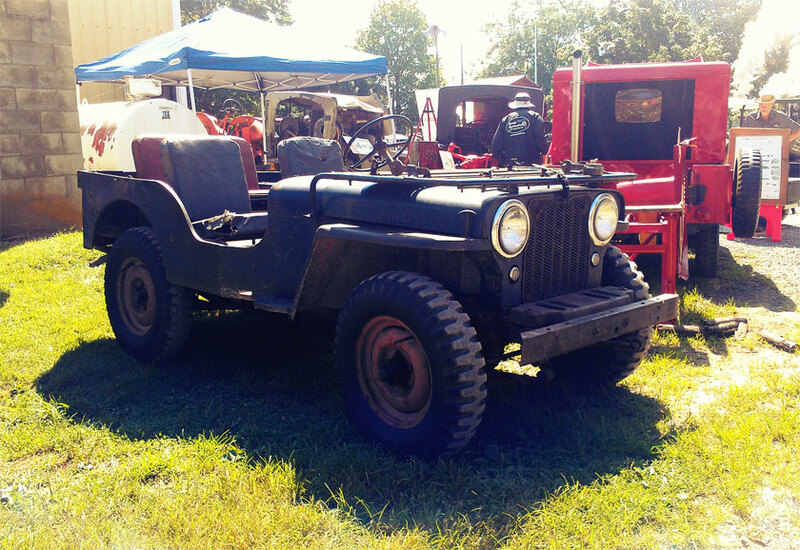 ), antique engines, antique cars and anything ancient and mechanical. 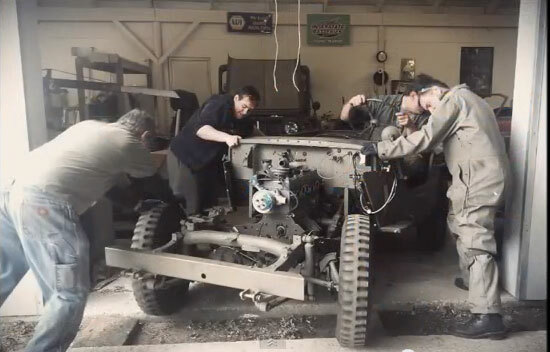 This year we packed the car and a few of us made the trek to mechanical mecca. 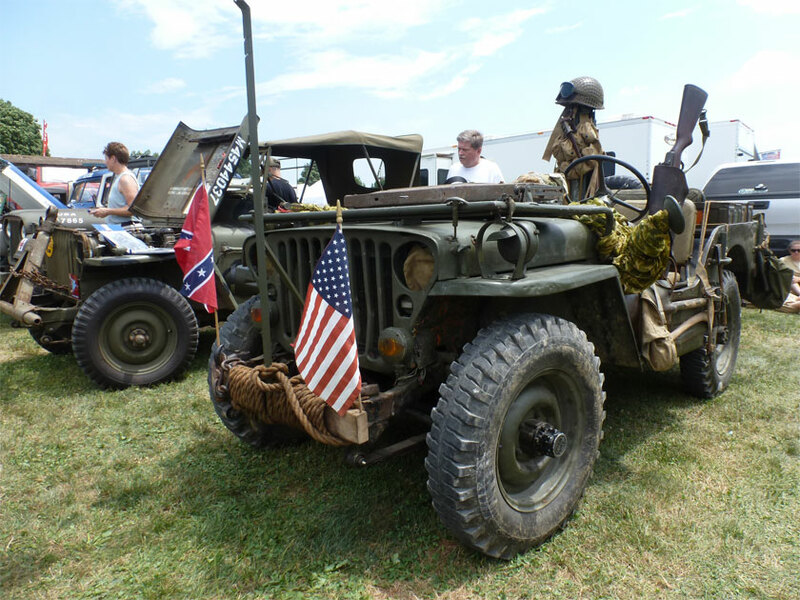 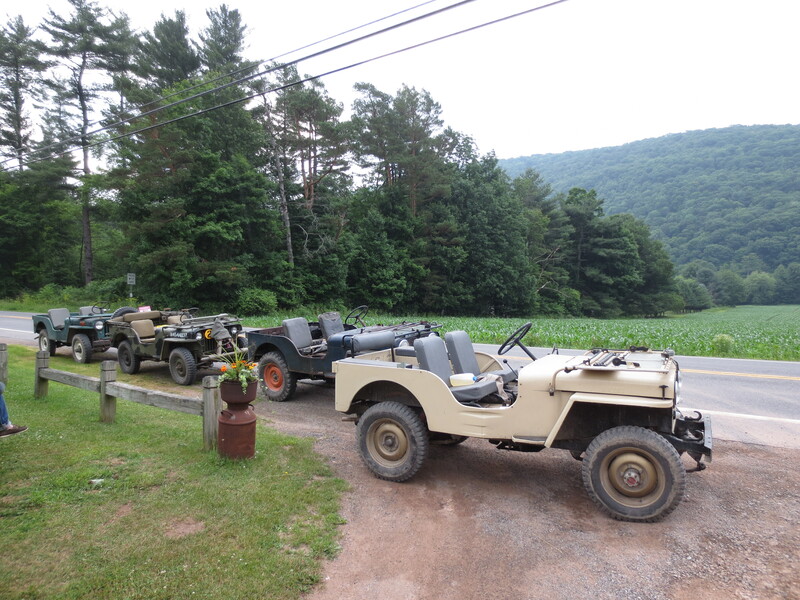 Amongst the ancient mechanical marvels there were of course… Jeeps!! 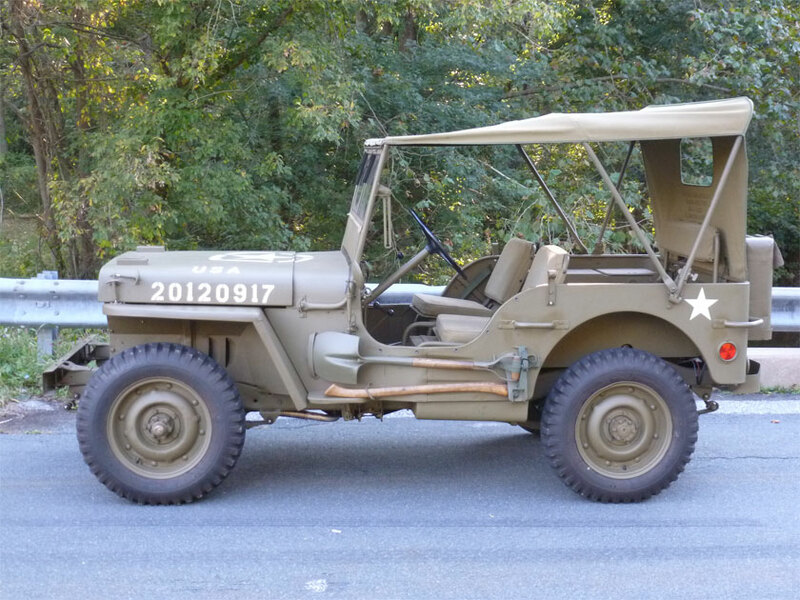 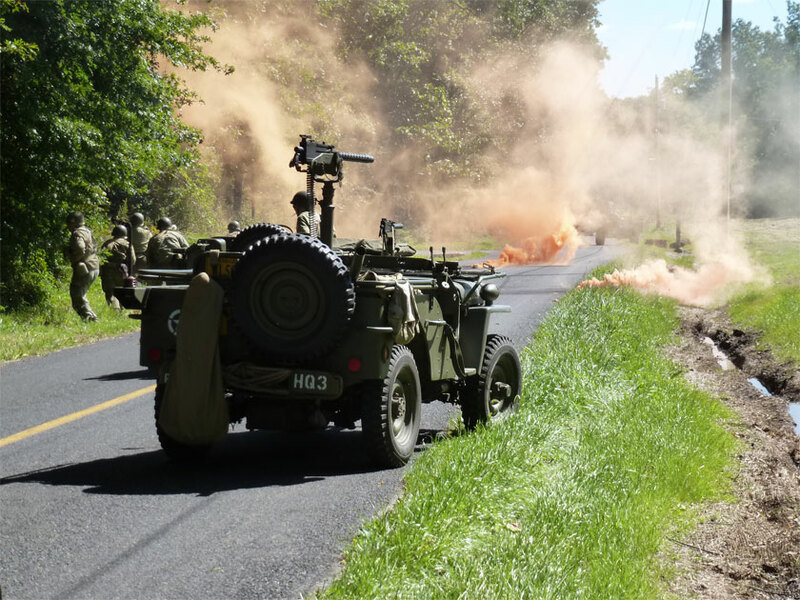 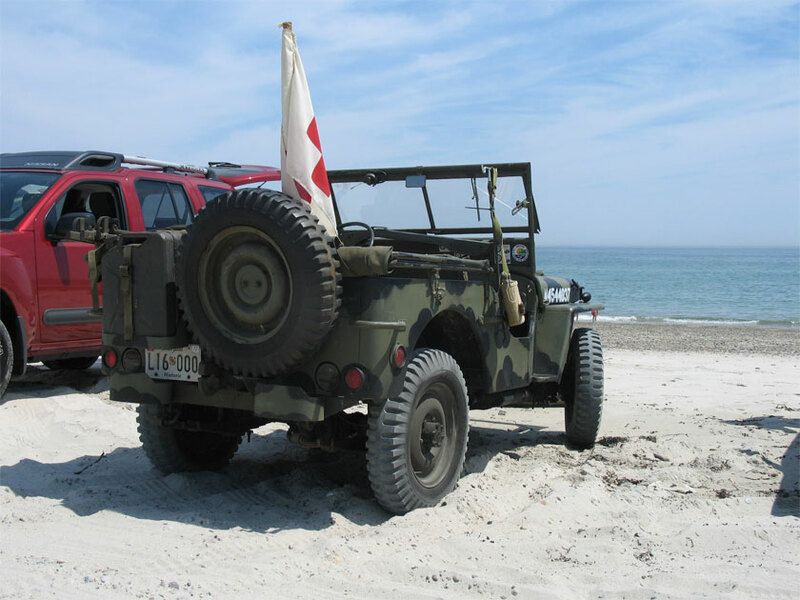 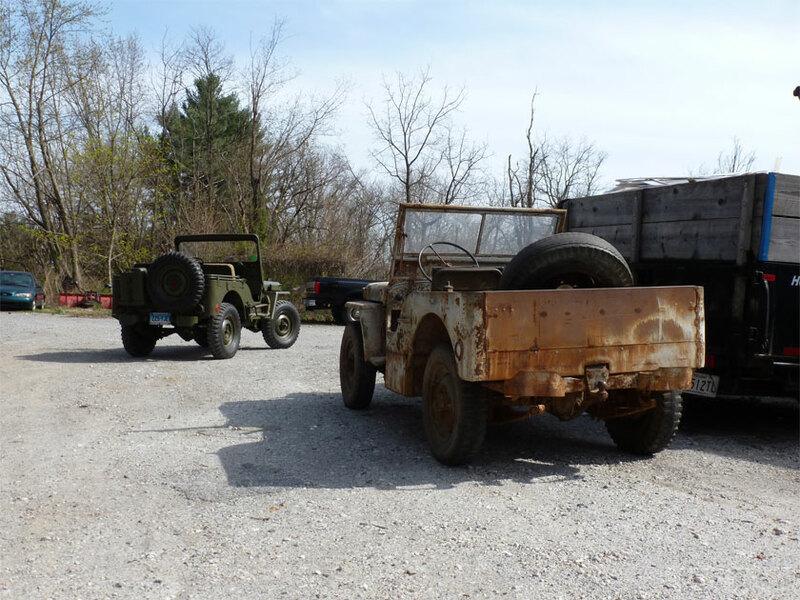 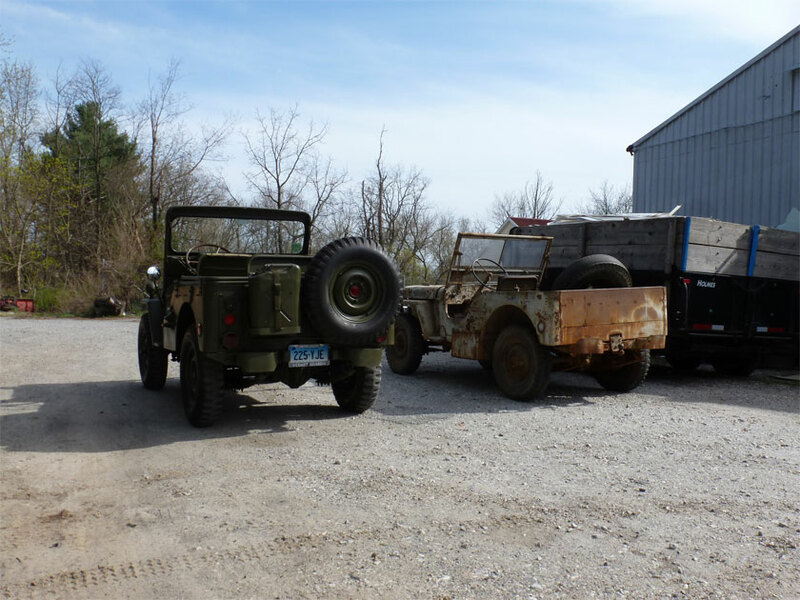 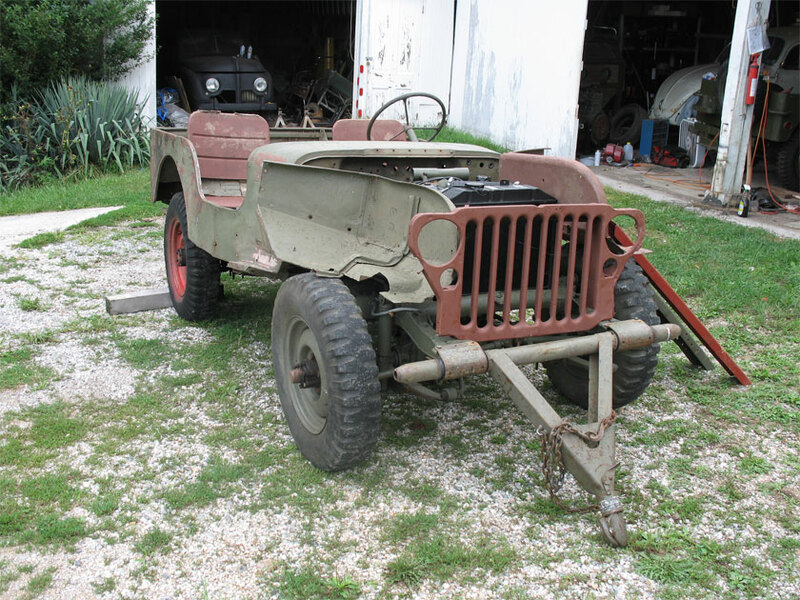 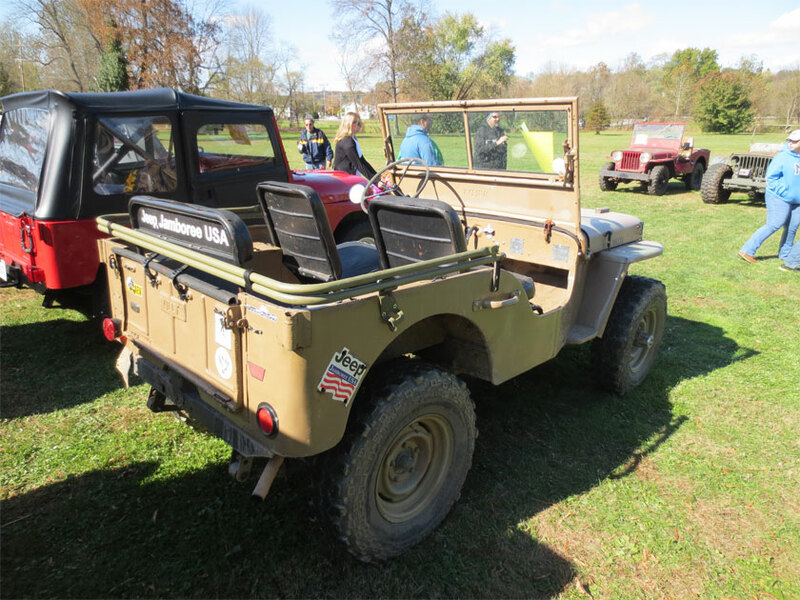 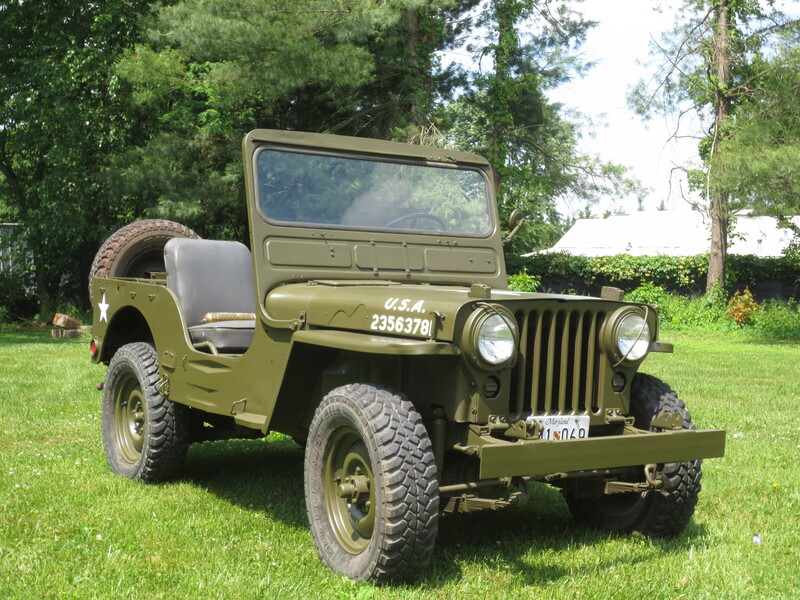 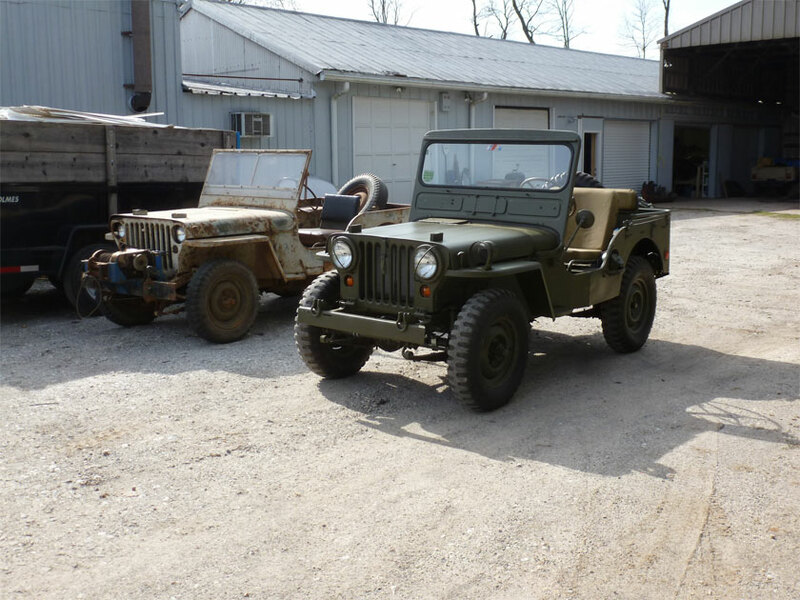 The first one we saw was driven by Henry Welch of H.W Welch Co. We enjoyed chatting with Henry about the Jeep he was driving, and sharing restoration stories. 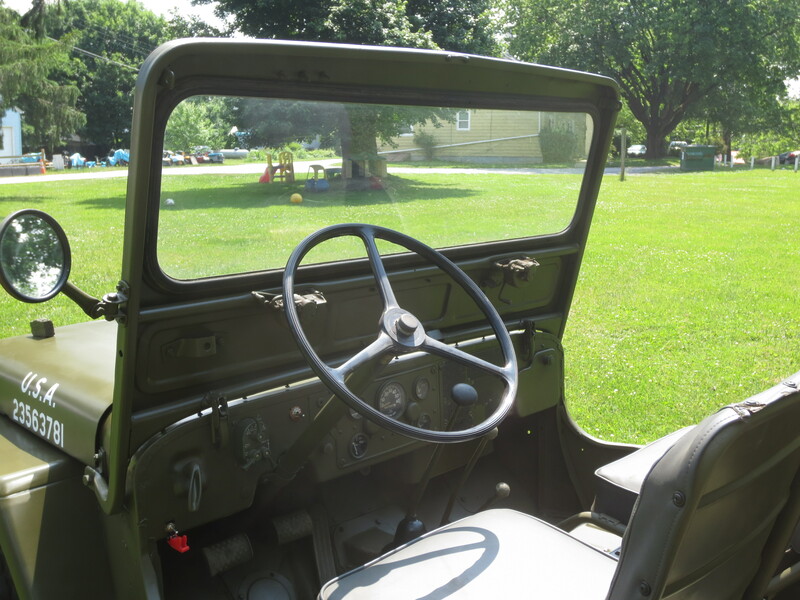 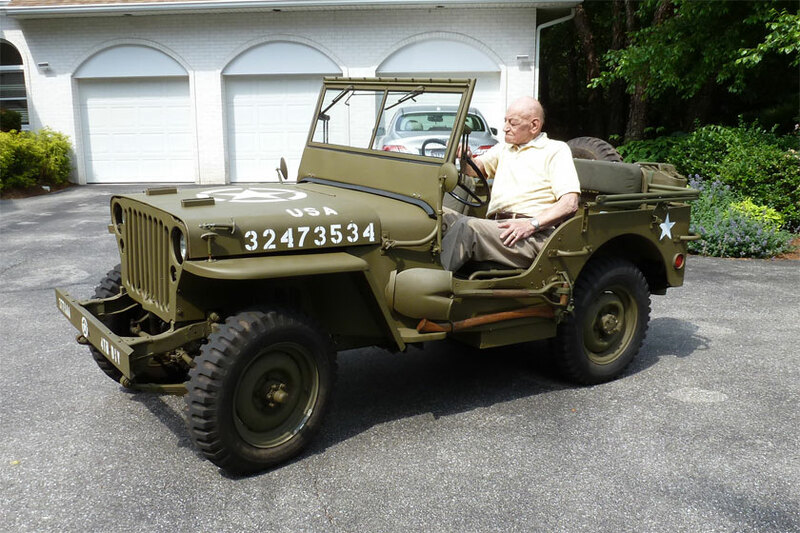 The Jeep he was driving belonged to a customer and had been in their family for a few generations. 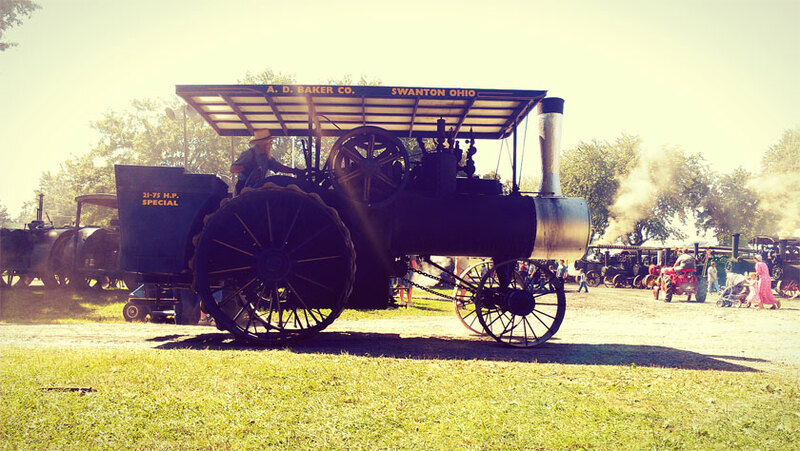 It was interesting trying to talk as a steam tractor punctuated every sentence we uttered with its whistle. 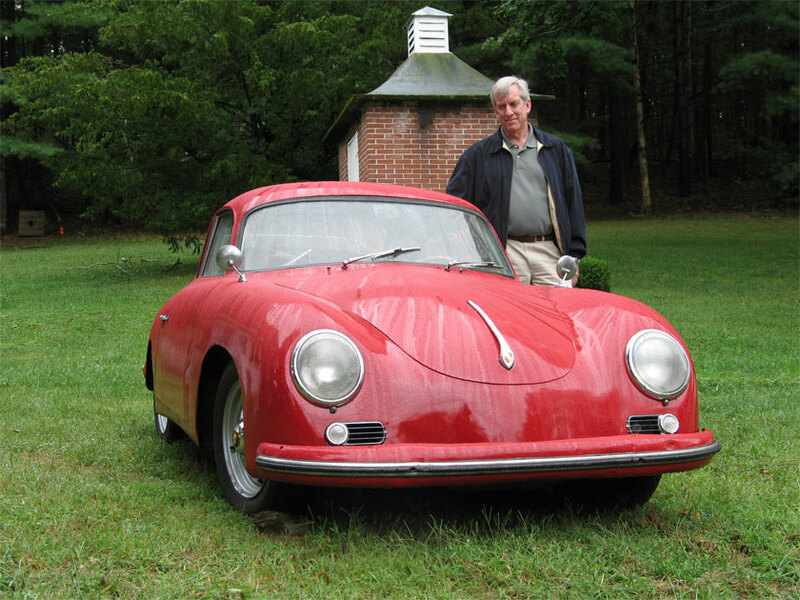 After talking with Henry for a bit we wandered on. 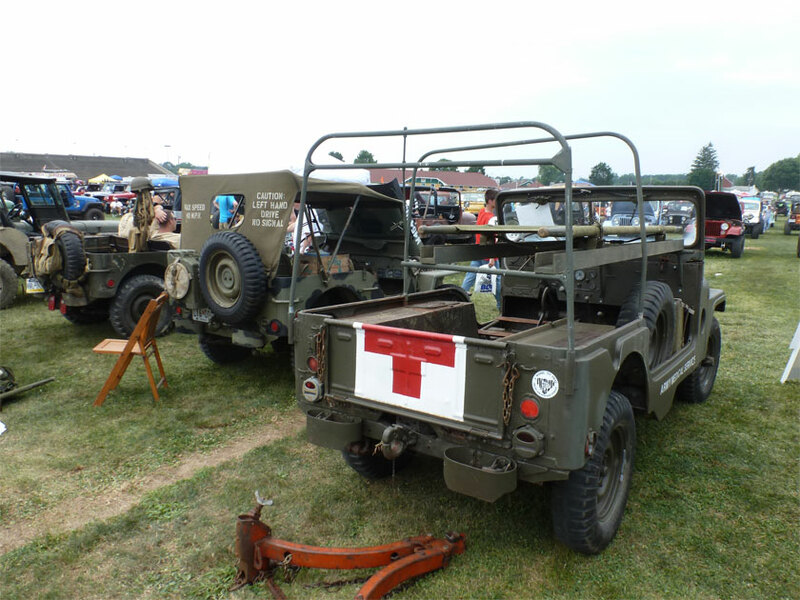 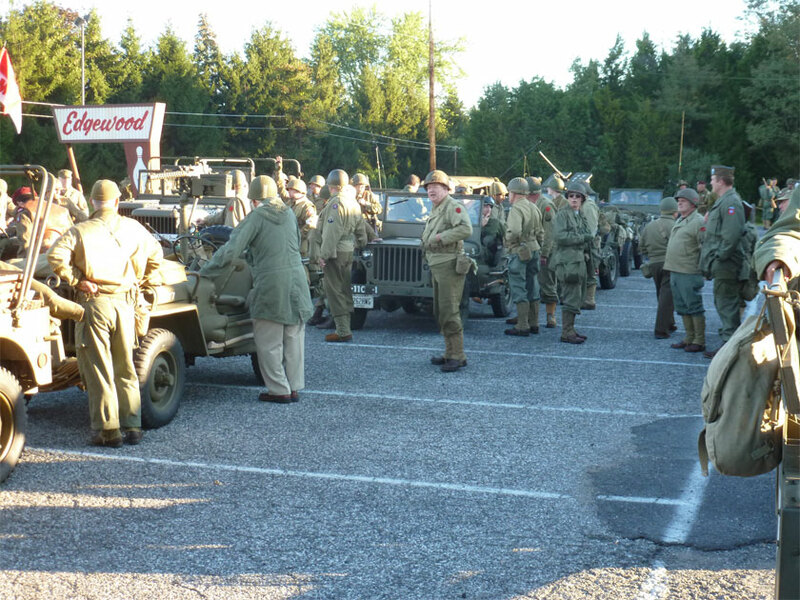 And discovered a couple M151’s The first one was sitting by a back fence near the flea market. 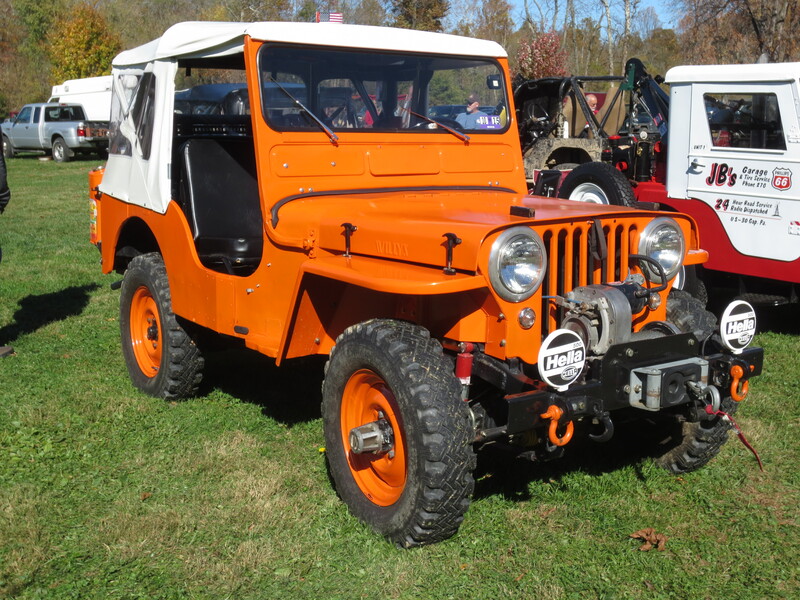 The second one was out and about. 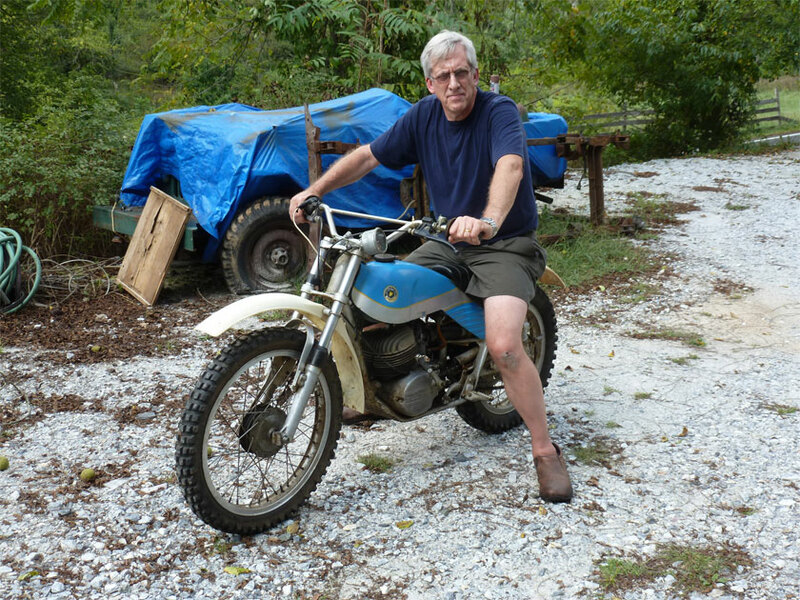 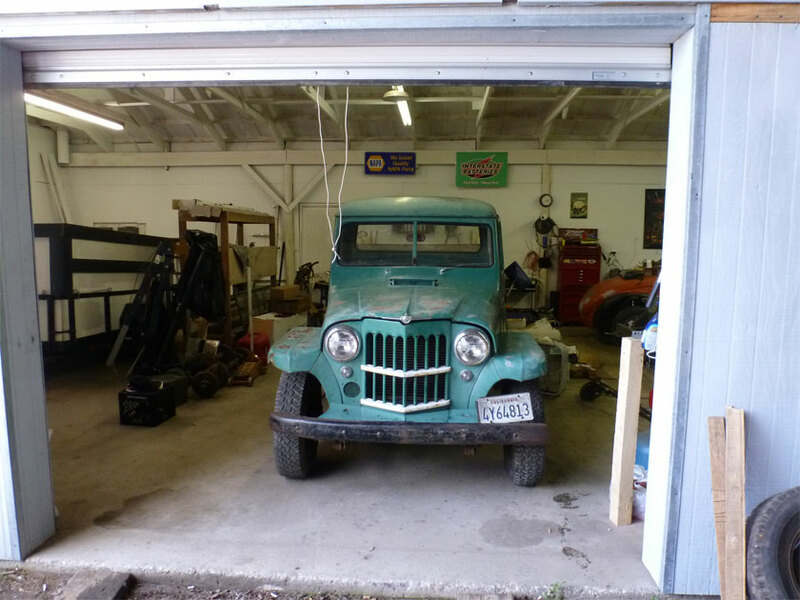 John spoke to the owner and found it was (I think) a 1964 Ford. 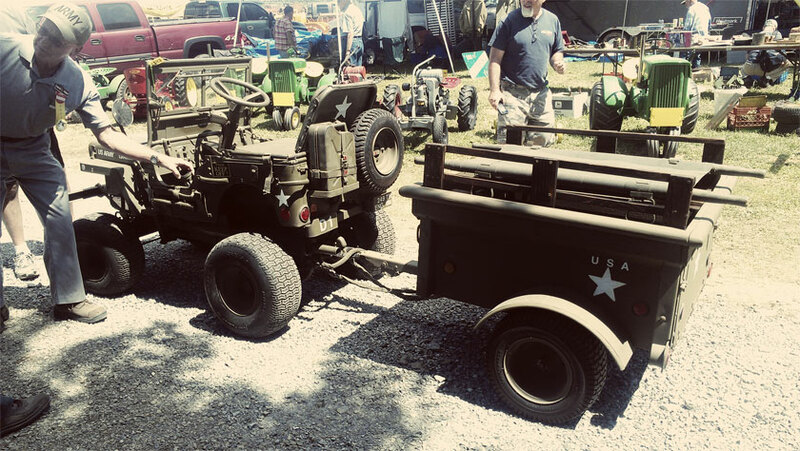 There were small Jeeps as well, we stumbled into this beautiful pedal car and the very detailed Bemak mini Jeep in the flea market. 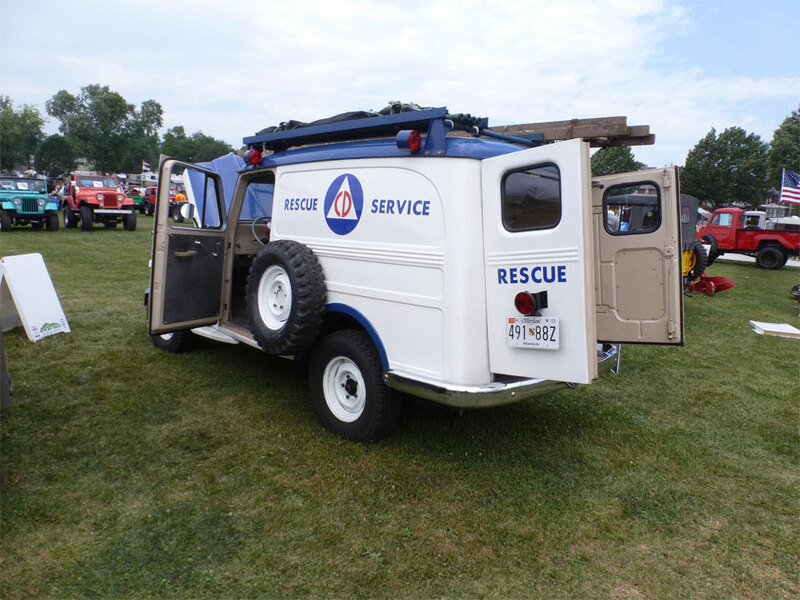 The Bemak had a minor incident right in front of me when its front right wheel fell off. 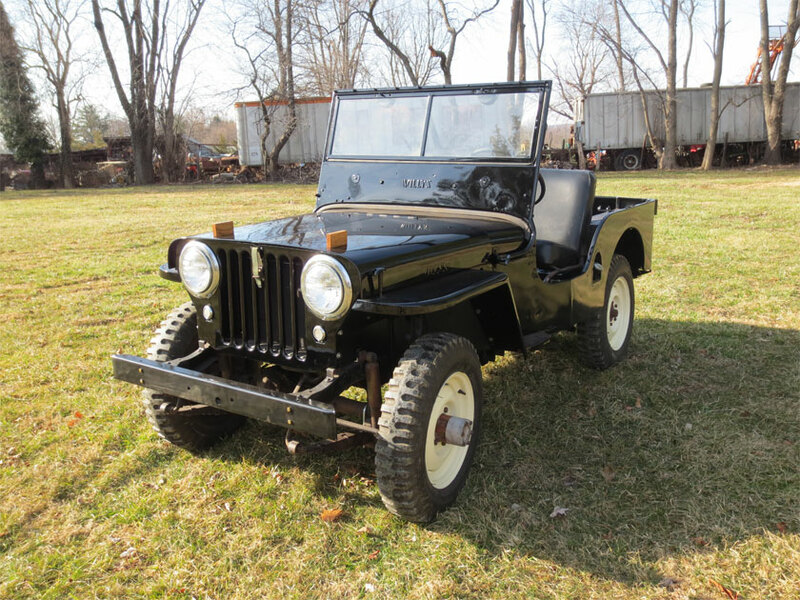 Happily the owner found a new snapring and had it rolling around within short time. 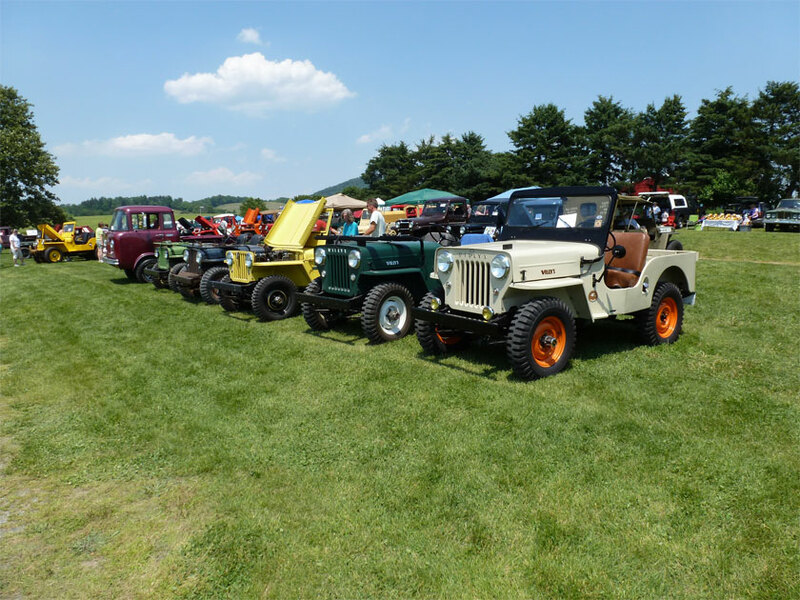 We found a display of agricultural Jeeps inside the main showgrounds. 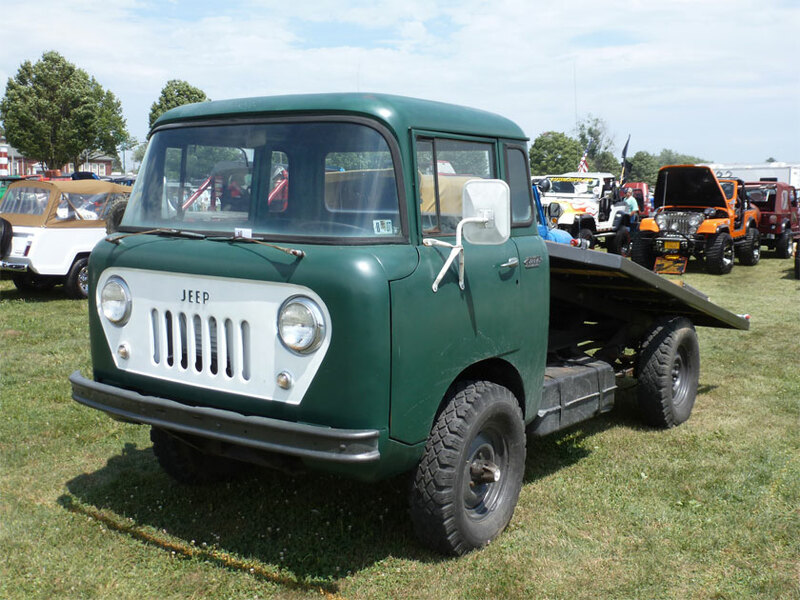 This CJ2A was the first to catch my eye. 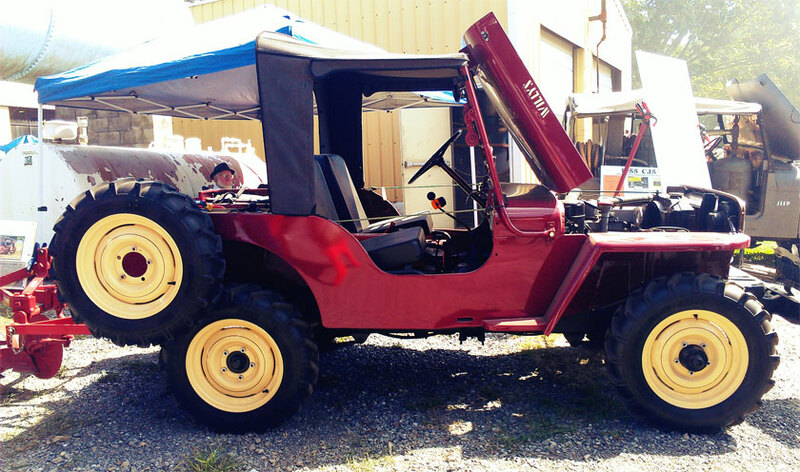 And this red CJ2A is at many shows. 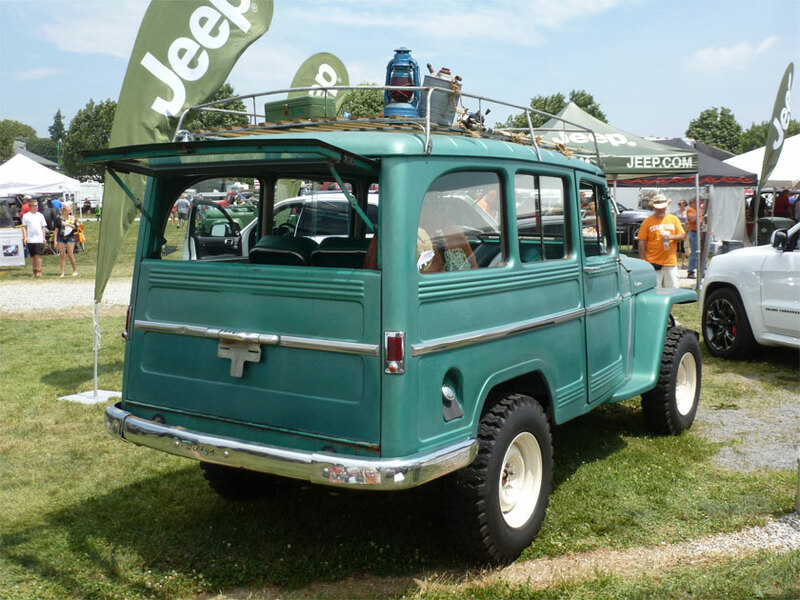 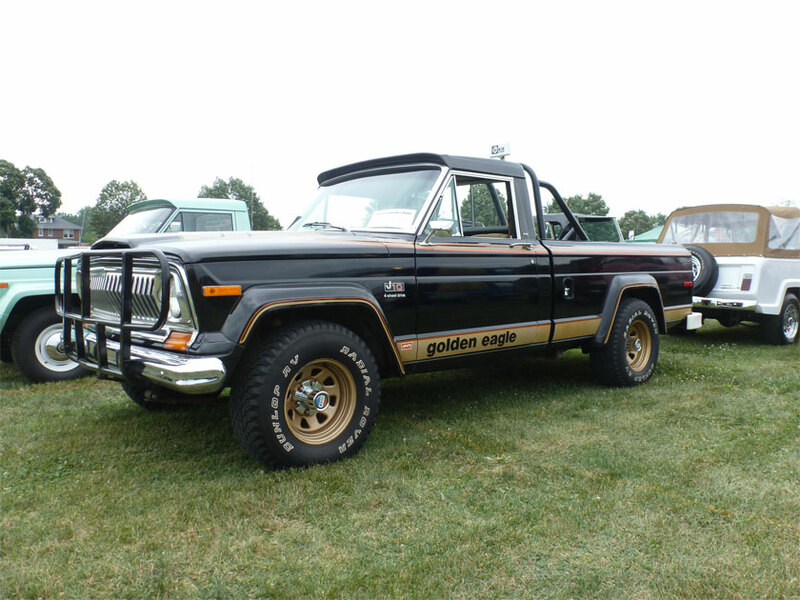 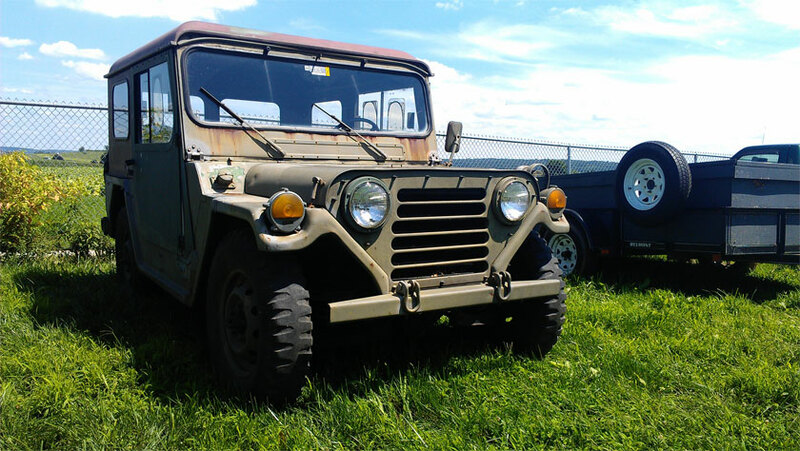 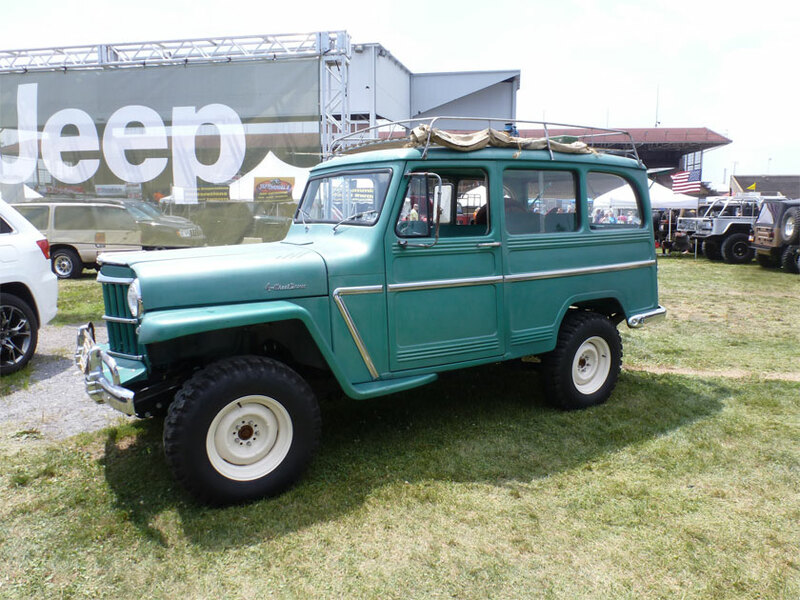 I last saw it at the York PA All Jeeps show. 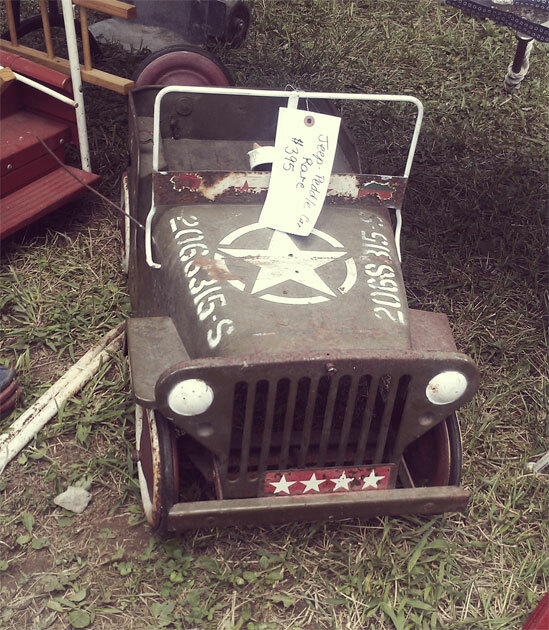 The final Willys we found was not a Jeep, but it was really the Piece de Resistance. 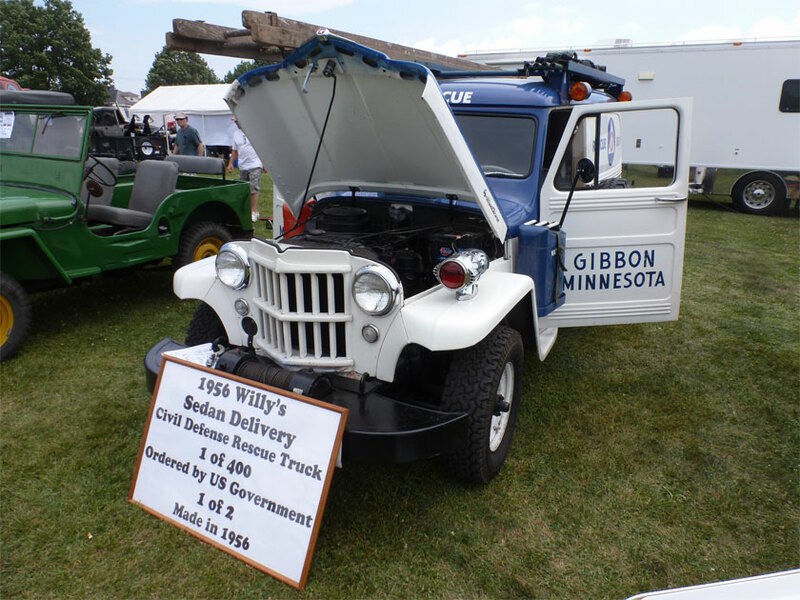 This was a 1929 Willys dump truck. 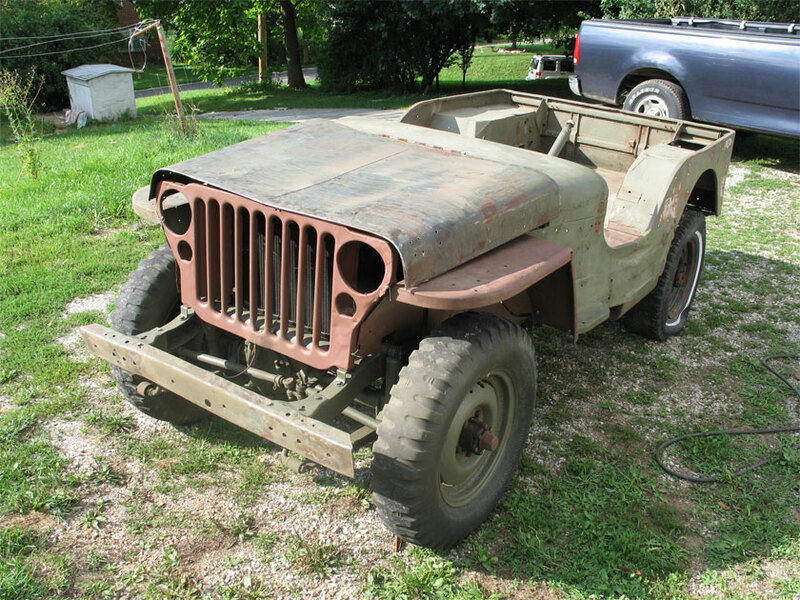 The owner said he has six figures in the restoration. 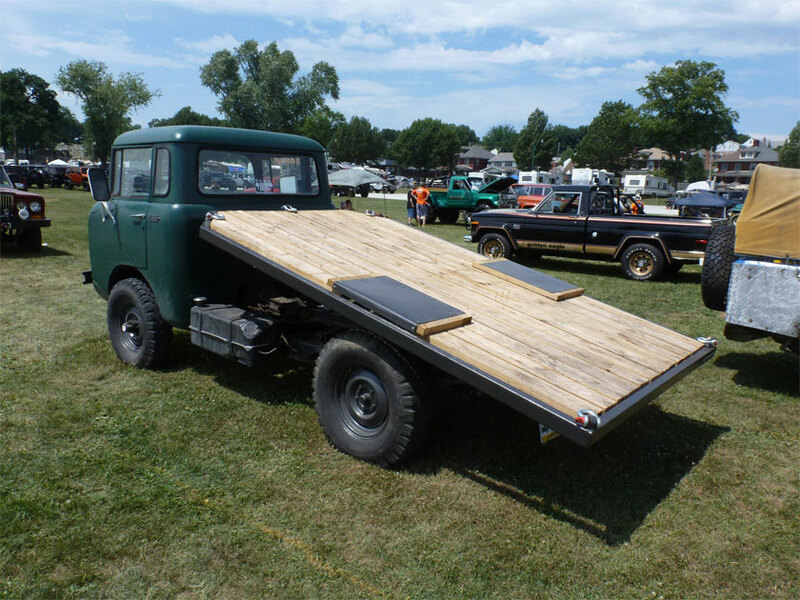 The truck was perfectly done and one of less than five in existence. 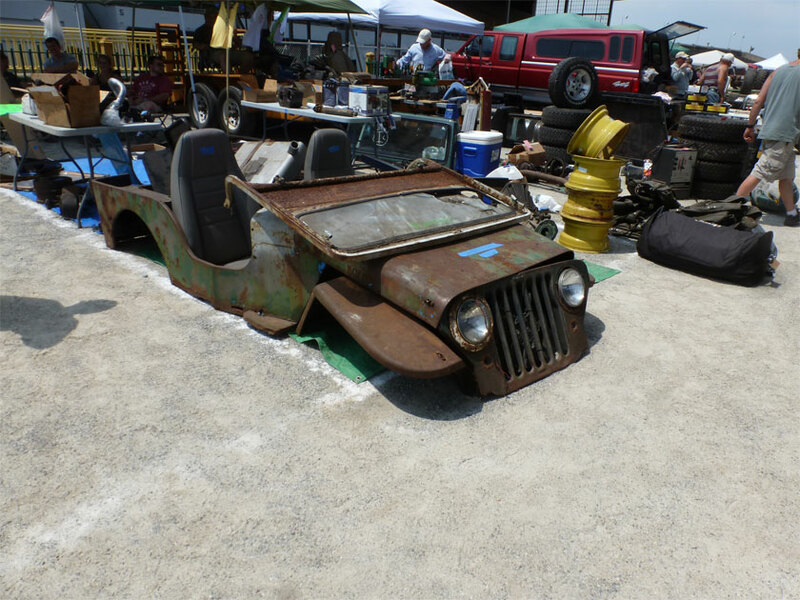 Now that I have given all the Jeep folks their fix we will have photos of the various mechanical oddities of the Rough and tumble in the next post.